Heading out to meet the girls for happy hour at one of my favorite restaurants, Pizzeria Il Fico, on Robertson Boulevard doesn’t require getting crazy dressed up but that doesn’t mean I don’t want to look my best! 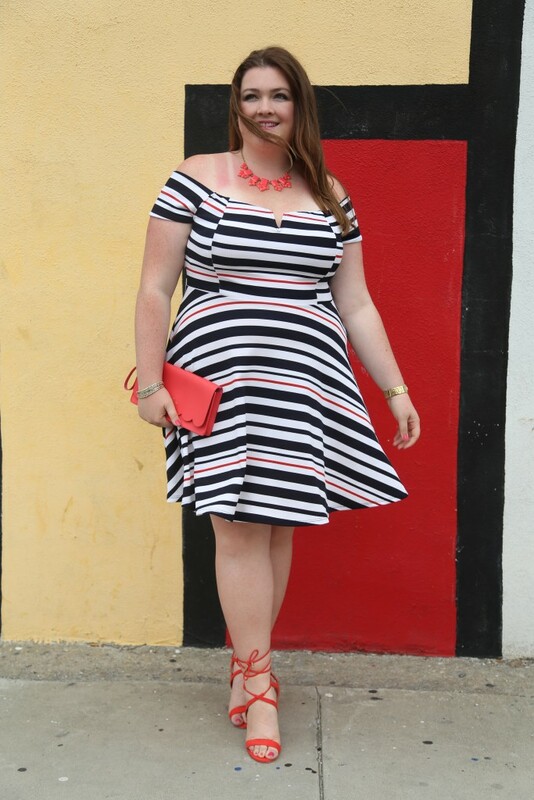 I am always on the look out for cute dresses since its pretty much always summer in LA (you can hate me now)! 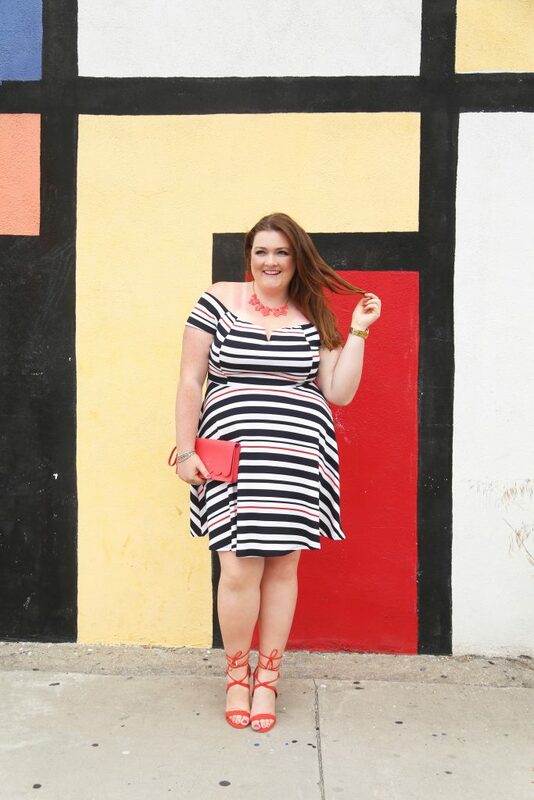 So when Debshops reached out to me recently to review a few items, I knew this fit and flare off the shoulder dress in nautical stripe would be summer perfection. Can we talk about these shoes for a minute? I recently started working with JustFab and I love the choice of styles and colors they have for not just shoes but handbags too! Since I am trying to up my accessory game, these strappy red shoes were a must have. By the way, I am totally in LOVE with Rent the Runway. 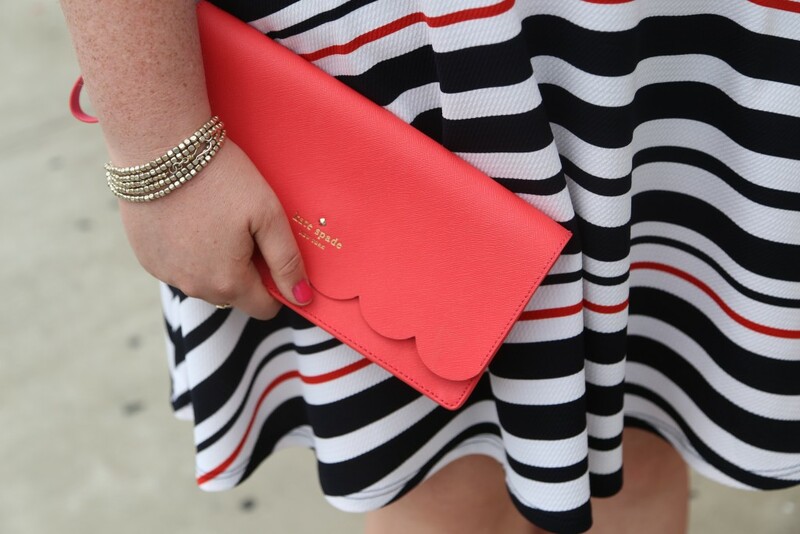 I found this gorgeous scalloped Kate Spade clutch which is perfect for going out!